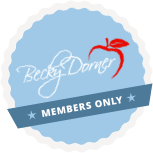 October 2017 Newsletter - Becky Dorner & Associates, Inc.
We hope to see you at the Academy FNCE® in Chicago this month! If you plan to attend, please visit us Monday, October 23, 2017 (9:00 am to 3:00 pm) at the McCormick Place West Convention Center, Booth 1604 at Member Product Marketplace (in the Academy Pavilion in the Registration C area outside of Exhibit Hall F2). 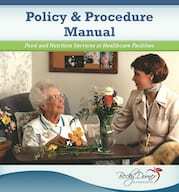 We will have many new books and CPE self-study courses for you to see, including the very popular Alzheimer’s Prevention Food Guide, our new 2017 Policy & Procedure Manual with CPE self-study course, Nutrition for the Older Adult and more! As always, we thank you for your support! Please keep your comments and suggestions coming – we are listening! Contact us any time at info@beckydorner.com. 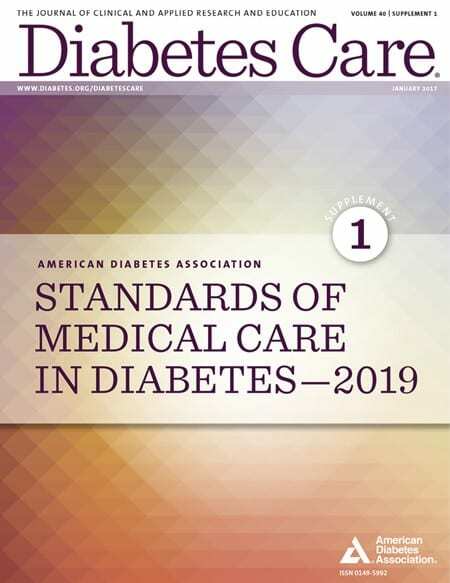 The Senate has passed the National Clinical Care Commission Act which would allow registered dietitian nutritionists the ability to participate in ensuring that federal programs provide the proper care for individuals with diabetes and related illnesses. With the recent hurricanes in Florida and Texas, disaster plans have been determined to be inadequate in many facilities. New federal disaster planning rules must be in place by November of 2017. Approval of the first biosimilar drug to treat cancer was announced by the U.S. Food and Drug Administration (USDA) September 14th. New research shows that standing exercise programs are more effective for older adults in maintaining mobility than seated exercises. 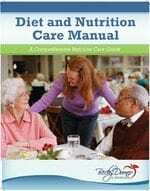 An assisted living and nursing complex in Oklahoma City has created a “Thrive Dining” menu to accommodate those individuals that may require finger foods in order to combat malnutrition. A recent study by the National Institute on Alcohol Abuse and Alcoholism, published in JAMA Psychiatry, showed an increase in the use of alcohol in all age groups, with the individuals over 65 years increasing significantly. 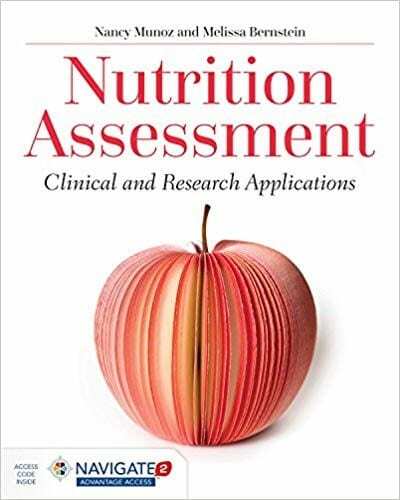 The Academy of Nutrition and Dietetics will be celebrating 100 years of improving the nation’s health through, research, education and advocacy this October at FNCE. If you plan to attend, please visit us on Monday at the Member Product Market Place, booth 1604. Obesity rates in the United States are leveling off, but there are still concerns for the high levels. People are living longer but millions are eating the wrong foods for their health, according to a study based at the Institute of Health Metrics and Evaluation at the University of Washington. Be prepared for emergencies and natural disasters with our free 3-day emergency meal plan! Coming soon! 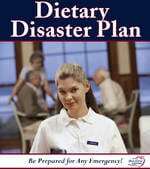 Newly revised Dietary and Disaster Plan Manual and CPE Self-study program with updated policies and procedures,emergency meal patterns and updated regulatory information. Watch for details in the coming months! Additional emergency preparedness resources available at The Academy of Nutrition and Dietetics’ website. 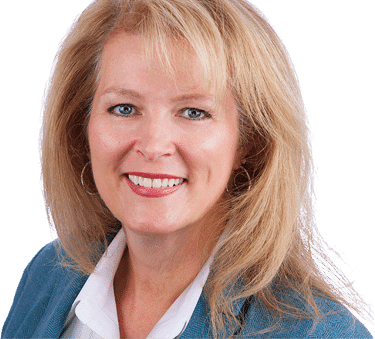 A family member of a resident at Broomfield Skilled Nursing & Rehabilitation Center has brought a proposal to lawmakers requesting residents have access to a local park and walking trails via golf carts. If the proposal is approved, the residents would be permitted to visit the park weekly during the summer months. A study that appeared in The Journal of Applied Physiology discussed the aging process and how it was affected by exercise, diet, optimism and socialism. A 105 year old cyclist, Mr. Marchand, was part of this study. More on the study here. Roselio Muniz, 101 years old shares the daily activities and choices he believes are responsible for a long life of vitality and passion.